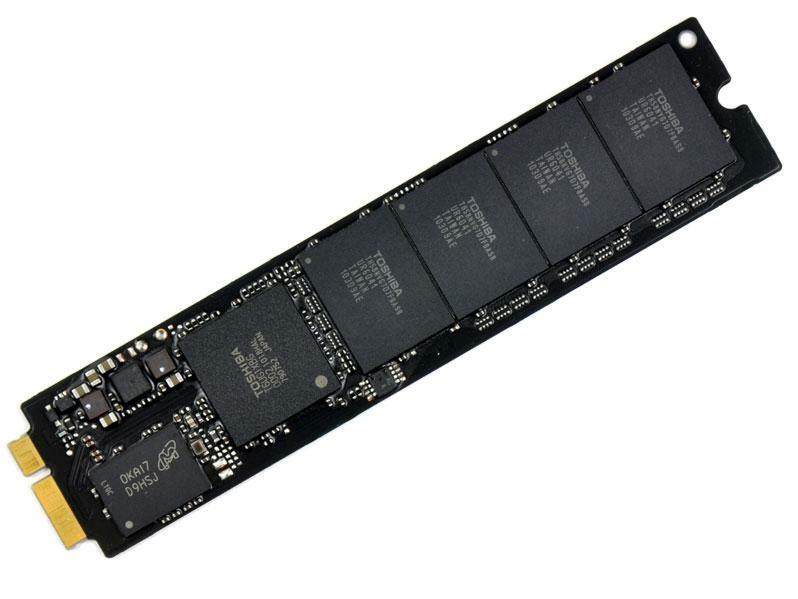 Apple's investments in acquiring flash memory expertise and technology appear to be centered around packing more storage capacity into Macs and iOS devices at lower prices, with the same level of component reliability and longevity. This week, Apple was both reported to be close to acquiring flash memory chip designer Anobit and engaging in plans to set up a semiconductor development center in Israel, where Anobit is located. Apple already uses Anobit components in is iOS devices and the MacBook Air. The firm's unique flash memory technology, dubbed MSP or "Memory Signal Processing," is designed to enhance the reliability, performance, efficiency and endurance of flash memory. Unlike DRAM, which stores memory bits using the state of electrical capacitors which must be continuously refreshed with power, NAND flash memory stores bits using floating gate transistors, which do not need to be continually refreshed to maintain their state. This makes flash memory more energy efficient during operation, and allows it to retain its information even after the device is shut down. The use of flash memory storage in iOS devices and the MacBook Air provides long term storage of software, documents, music and movies without needing a conventional magnetic hard drive for disk storage. The use of flash storage not only makes these devices quick to boot up and launch apps, but also slimmer, more battery efficient and less fragile than compatible devices using a conventional hard drive for persistent storage. Particularly on iOS devices, the use of fast flash memory also limits the need for large amounts of DRAM, further increasing the devices' battery life. On the flip side however, flash memory storage is more expensive compared to disk storage, as well as being less reliable and having a shorter life span. The individual cells of flash memory chips eventually wear out and stop working reliably, requiring specialized software to manage their use. Earlier this year, Apple incorporated TRIM support in Mac OS X Lion. TRIM is an OS level software technology designed to manage the flakey, short lived nature of flash memory used in Solid State Drives like the MacBook Air's (pictured below). Anobit's MSP technology attacks the same issues, but does so on firmware level, using sophisticated monitoring of flash memory cells to accurately determine if they are failing or no longer able to reliably store data. These technologies also enable flash memory to continue to function longer than previously possible by simply working around failures. In addition to enabling flash memory to live longer, MSP also promises to make components faster; it enables data to be pushed to flash memory at speeds that generate more errors, but can then detect and correct the errors. A second primary benefit to the MSP technology is that it makes less expensive types of flash memory usable for a wider range of applications. Most flash memory used in high speed storage holds one bit per memory cell, known as SLC or "single level cell" memory. A cheaper type of flash memory known as MLC or "multi level cell" can store two bits per memory cell, making it less expensive to manufacture because it has a higher memory density. A primary problem with MLC is that is more prone to error, requiring more sophisticated management to make it useful. MSP promises to make cheaper MLC memory components as accurate over the same lifespan as conventional SLC, something that would dramatically change how much storage Apple could pack into its devices and computers at the same price. That would have a huge impact on Apple's ability to compete, as flash memory storage is a significant part of the bill of materials in the devices it builds. NAND flash is the second most expensive component of the iPad (after the touchscreen display), according to iSuppli, accounting for around ten percent of its total component cost. For the MacBook Air, 64GB of SSD flash memory is similarly estimated to be its second most expensive component (again, after the screen) and roughly the same price as its Intel CPU at a similar 10 percent of the total materials cost.